Robyn Mitchell left the comforts of teaching in a classroom to explore the open road in an 18-wheel sandhauler. Her experiences and time on the road birthed Mother Trucker, a series of suspenseful thrillers based on the trouble and happiness Shelby Mathews—a well-educated, gorgeous blonde, wife, and mother of three grown men—finds while trucking. The gunshots came down from the top of the hill into the pit, making it sound like a war zone. Shelby tried to look up to see what was happening, but the dust was thick from the spray of bullets that were hitting everything in sight. “STOP THE DAMN SHOOTING!” she yelled as she covered her head with her hands and put her face in the ground. Just how did I get here? She wondered. “Ouch, dammit that hurt!” Shelby put the injured finger into her mouth and then quickly removed it. She looked at the nicely-painted, half-broken artificial nail. “I just had these nails done last week.” As she reached down toward her stuck high-heel, which had caused the incident in the first place, her purse slid from her shoulder, hitting her leg. “Stupid shoe.” She pulled at the lodged heel stuck in a crack of cement, near the rubber mat that lead into the grocery store. Shelby hobbled into the store and used the handle of a shopping cart to balance as she replaced her shoe. Then she placed her handbag in the child seat. “What else can go wrong today?” she mumbled. Jayne and Shelby sipped at their coffee. “Tell me about those boys,” Jayne said. 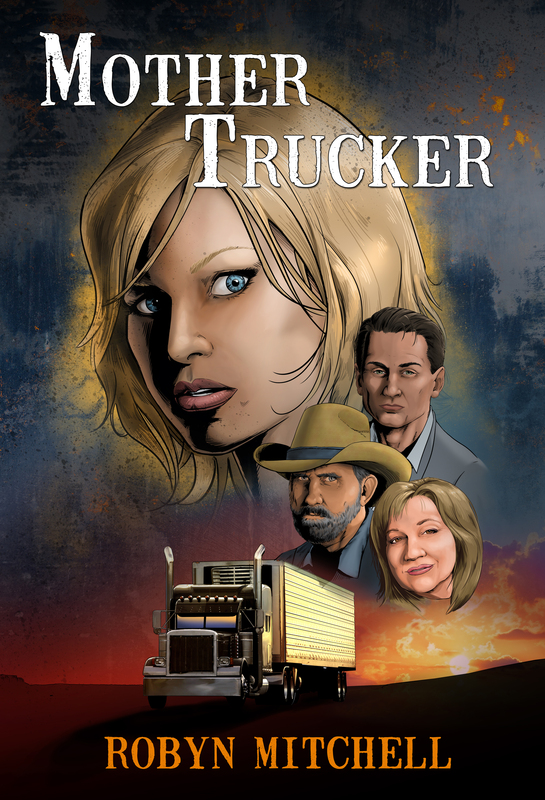 “You’re a truck driver?” Shelby said, shocked. “Are you telling me that you drive one of those great big things all over the country?” She gaped at the smart, pretty woman who sat in front of her. Shelby grabbed her shopping cart and disappeared into the store.